Julius Axelrod was born in 1912 in New York. He went through a long and arduous process before obtaining his medical degree. When he first applied, he was not accepted to medical school and specialized in chemistry and pharmacology at New York University. He also engaged in researching the metabolism of drugs. At the age of 43, when he finally received his medical degree, he moved to the National Institute of Mental Health, and later served as head of the Pharmacology department. In 1970, Julius Axelrod and his colleagues, Bernard Katz and Ulf Von Euler, were awarded the Nobel Prize in Physiology or Medicine “for their discoveries concerning transmitters and their operation mechanism”. Nerve signals are transmitted in the body in two ways: by means of electric action potentials and by means of chemical substances – neurotransmitters. In the early 1960’s, Axelrod and his colleagues researched the noradrenaline neurotransmitter, and discovered how transmitters are stored in nerve terminals, the mechanism of their discharge and manner of activity. 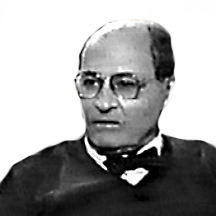 At a later stage, Axelrod also discovered two methods for stopping the activity of transmitters: the first by means of a specific enzyme that breaks it down, and the second by the quick re-absorption of the residuals of the neurotransmitter for storage, until the next stimulation. 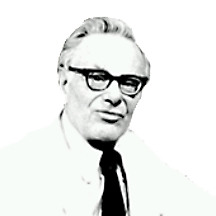 Beyond his theoretical contribution to the understanding of nerve function, Julius Axelrod can be credited with furthering the practical applications of these theories in the treatment of mental illness and conditions such as high blood pressure. deciphered the mechanism controlling nerve function. David Baltimore was born in New-York in 1938. He studied at the Massachusetts Institute of Technology and the Rockefeller Institute where he received his doctorate. In 1965, Baltimore began research on the polio virus at the Salk Institute in California. While there, he discovered the way in which the virus replicates its genetic information found in the form of RNA. In 1968, Baltimore moved to MIT and began studying other RNA viruses known to cause cancer in animals. He was surprised to find that they did not contain the enzyme necessary for their replication. According to the prevailing theory of the time, the transition from DNA to RNA is a one-way process. Baltimore found that with the aid of the enzyme “reverse transcriptase”, the viruses could change the process and build molecules of DNA on a RNA template. Baltimore was awarded the 1975 Nobel prize for physiology and medicine, jointed with Renato Dulbecco and Howard Temin, “for their discoveries concerning the interaction between tumor viruses and the genetic material of the cell”. The work of the three researchers forged a link between two theories; the first claims that cancerous cells undergo genetic change due to mutation and the second holds that viruses can cause cancer. The discovery of the “reverse transcriptase” accelerated the progress being made in the fields of molecular biology and genetic engineering, thus expanding an understanding of the replicating mechanism of retroviruses, including the AIDS virus. Robert Barany was born in 1876 in Vienna. 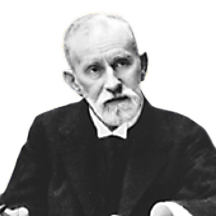 He received the 1914 Nobel prize in medicine and physiology for his studies on the vestibular apparatus and for the caloric method he invented for testing it. 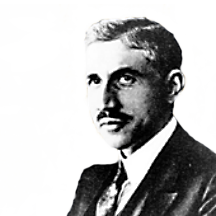 Robert Barany passed away in 1936.
deepened the understanding of the balancing mechanism in the human body. “I have a strong feeling of identity with my cultural heritage, which may have molded much of my personality. I am of Spanish-Jewish, Sephardic, ancestry. My father, Abraham, was born in Tetuan, Morocco, when it was a Spanish colony, sometime in the last century… My father’s family, as well as my maternal ancestors, who also originated from Tetuan before they move to Sidi-Bel-Abbes in French Algeria, lived in Tetuan, probably for centuries after they moved across the channel from Spain at the time of the Spanish Inquisition… “Money lender”, a traditional family profession… may explain the true meaning of our name. ‘Ben’ means ‘son’ in both Hebrew and Arabic and ‘Seraph’ is, indeed, the word for money changer in Arabic. As for myself, I prefer the fantasy that the real root of my name is the Hebrew word ‘Seraphim’… my full name in Hebrew means, therefore, “be blessed, son of the angel”. His parents emigrated to Venezuela where his father prospered in a family import-export business. By the time Baruj reached his 5th birthday, they moved to Paris where he lived and studied until completing high school. On the eve of World War 2, his father who had sensed the coming danger decided to emigrate to the USA. There Baruj Benacerraf graduated in the University Columbia and the Medical College of Virginia, in Richmond and became an American citizen. On March 1943, he married Annette Dreyfus, a Jewish girl from a family who fled from Germany at the beginning of the war. The story that began more than forty years ago with the identification of the first transplantation antigen in a mouse, culminated in 1980, in the award of the Nobel Prize in Physiology or Medicine to three immunologists, Baruj Benacerraf, Jean Dausset and George Snell “for their discoveries concerning genetically determined structures on the cell surface that regulate immunoligical reactions”. They identified and observed the function of histocompatibility antigens. These antigens induce the immune system to reject a transplant. Their discovery led to the matching of transplant tissues between donor and recipient to minimize the extent of rejection of the transplanted tissue by the immune system of the recipient. Although the use of histocompatibility antigens for transplants is very important, it is unnecessary for most of the population. If such is the case, what role do these antigens play in our daily lives? This subject has been researched by Baruj Benacerraf who showed that the genes of the major histocompatibility complex (MHC) regulate the mutual relationship between the cells of the immune system required to produce an immune reaction. At the outset of the investigation, Benacerraf showed that guinea pigs have genes known as Ir (immune response) genes that allow them to produce antibodies in reaction to certain antigens. Subsequently, Hugh McDevitt of Stanford University and Michael Sela of the Weizmann Institute of Science discovered similar genes in mice. McDevitt showed that these genes are located in the genome of the mouse in chromosome 17 in the MHC region in the H-2 gene complex, known as IR. In the HLA complex in man (similar to the H-2 in mice) the IR genes are located in chromosome 6 in the HLA-D region. In conjunction with David Katz, Benacerraf demonstrated that T and B lymphocytes cooperate to produce antibodies against an antigen only if they have identical genes located in the H-21 region of their MHC. Later, it was seen that helper T cells, B cells, macrophages and antigen-presenting cells all cooperate to produce an immunological reaction to a foreign antigen only if they have identical H-21 genes. According to Benacerraf, regulating immune system reactions is a complicated affair. The only system similar to it in complexity is the nervous system. However, he feels that we are beginning to understand the mechanism by which the immune system can distinguish between a self-antigen and a foreign antigen. his discovery led to the matching of transplant tissues between donor and recipient. Konrad Bloch was born in 1912 in Neisse, Germany. In 1934, he completed his studies at the Munich Technische Hochschule. 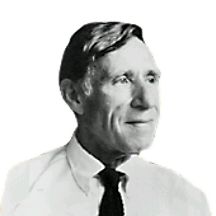 After Hitler came to power in Germany, Bloch fled to Switzerland, and from there he moved to the United States. In 1938, he received his doctorate degree from Columbia University. 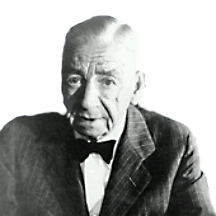 Bloch served as a professor at the University of Chicago and at Harvard University. In 1964, Konrad Bloch was awarded the Nobel Prize in Physiology or Medicine “for discoveries concerning the structure and regulation of cholesterol”. In his research, Bloch determined the complex process by which the body produces cholesterol from acetic acid. His discoveries are of significant practical importance in developing efficient treatment for diseases such as arteriosclerosis that are related to the mechanisms that control levels of cholesterol in the blood. discovered the stages of cholesterol creation in the body. Baruch Blumberg was born in New-York in 1925. His training as a physician and anthropologist enabled him to undertake a comparative study on the spread of diseases among various populations in the world. During the course of his study, he discovered a method for identifying the Hepatitis B virus. This, in turn, made it possible for the public health system to combat one of the world’s most widespread and virulent infectious diseases. Blumberg’s technique is used by blood banks to check donor blood for the Hepatitis B virus, thereby helping to prevent further contamination. After identifying the virus, Blumberg went on to develop a vaccine against it, and demonstrated its relation to hepatic cancer. In 1976, Baruch Blumberg received the Nobel prize in physiology or medicine for his contribution to the study of infectious diseases. developed the vaccine against the Hepatitis B Virus 20. Michael Brown was born in New York in 1941. In 1966, he received his Medical Doctorate from the University of Pennsylvania, and in 1971 he joined the staff of the Dallas University School of Medicine, there he began his collaboration with Joseph Goldstein. In 1977, as a professor of genetics, he was appointed director of the Center for Genetic Diseases. The two scientists discovered the mechanism that transfers cholesterol from the blood into the cells, and which, at the same time, keeps the correct level of cholesterol in the blood, preventing it from accumulating on the walls of the arteries and disturbing the blood flow. This mechanism operates by receptors, molecules on the outer surface of the cells, which “hunt” the cholesterol in the blood and transfer it into the cell, for various uses. Brown and Goldstein’s findings show that insufficient amount of these receptors, due to a genetic defect or to inappropriate, high-cholesterol diet, disturbs the mechanism and causes atherosclerosis, strokes and heart attacks. This discovery urged them to look for medications that will encourage the activity of the receptors mechanism and prevent the blocking of the arteries. If those medications are proven to be safe over a long period of time, maybe one day we will be able to eat a nice juicy steak and still live to enjoy it. discovered the mechanism which regulates the level of cholesterol in the blood . Chain was born in Berlin in 1906. In his youth, he aspired to become a pianist, but focused on the studies of chemistry and obtained his PH.D. degree at the age of 21. When the Nazi regime came to power, he emigrated to England, at first to Cambridge University and later on to Oxford University. There he joined Howard Florey’s department, where he engaged in the research of the chemical structure of penicillin. In 1945, Ernst Chain, Howard Florey and Alexander Fleming, who was considered the first to discover penicillin, were awarded the Nobel Prize in Physiology or Medicine “for the discovery of penicillin and its curative effect on various infectious diseases”. Following biological tests made on penicillin, it was discovered that it effect a large variety of microbes without damaging the organism itself. It was further discovered that this substance is ten times more powerful in destroying microbes than sulfur drugs, which had been used until that time. In 1941, following the success of experiments conducted on animals, and after Chain successfully improved the purification process of the substance, bringing it to a much higher purity grade, experiments on human beings began. Chain and his colleagues made a crucial contribution to humanity in its struggle against infectious diseases. Their triumph can be measured by the saving of millions of lives. 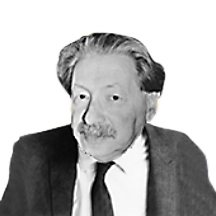 Ernst Chain died in 1979. Stanley Cohen was born in New York in 1922. At the age of 26, he received his doctorate in chemistry from the University of Michigan. He worked at the University of Colorado and in 1953 moved to Washington University in St. Louis where he undertook cancer research with Rita-Levi Montalcini. Cohen has been a professor of chemistry at Vanderbilt University since 1959. How does man grow from a single fertilized cell into a complex arrangement of billions of cells each with its own unique function and working together in perfect synchronization? Part of the answer lies in the family of proteins known as growth factors which were first discovered by Stanley Cohen and Levi-Montalcini in the l950’s. In awarding the 1986 Nobel Prize for medicine and physiology to Stanley Cohen and Rita Levi-Montalcini, the prize committee noted that their work was of fundamental importance in making it possible to understand the mechanisms which regulate cell and organ growth. 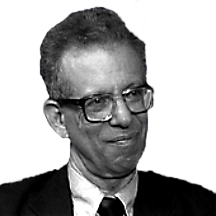 Stanley Cohen successfully isolated the nerve growth factor NGF from the salivary glands of rats and even devoloped antibodies against it. In 1962 he succeeded in isolating an additional, epidermal growth factor – EGF. 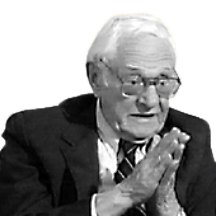 The very existence of growth factors was questionable prior to the research of Stanley Cohen and Rita Levi-Montalcini. Today scientists are convinced that they exist and recognize their great importance. made a significant contribution to the study of cancer. Gerty Cori was born in Prague in 1896. In 1920, she received her medical degree at the University of Prague, and then moved to Vienna with her husband, Carl. Shortly thereafter, the Coris settled in the United States and began work at Washington University in St. Louis. They undertook research there on the metabolism of carbohydrates, especially glucose and glycogen. 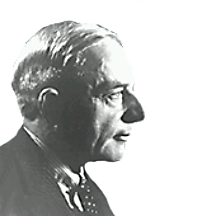 In 1947, Gerty and Carl Cori were awarded the Nobel Prize in Physiology or medicine “for their discovery of the course of the catalytic conversion of glycogen”. Glycogen is composed of interconnected glucose molecules. A cyclical process occurs in the body whereby the glucose is converted into glycogen and stored there for future use. When required, glycogen is once again converted into glucose and used to provide energy to the cells of the body. In 1944, the Coris succeeded in synthesizing glycogen in the laboratory. This confirmed their hypothesis regarding its method of production in the body. 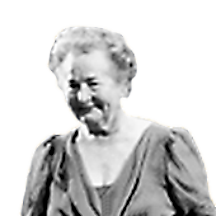 During her last years, Gerty Cori suffered from a serious illness that led to her death in 1957.
discovered, with her husband Carl, the metabolism of sugar in the human body. 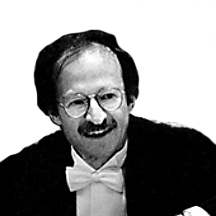 Gerald Edelman was born in 1929 in New York. In his youth, he considered becoming a professional violinist, but eventually turned to a career in medicine. He received his Medical degree at Pennsylvania University and specialized in the study of the body immunization system. In 1960, at the Rockefeller Institute, he received his Ph.D. for his research on the structure of antibodies. 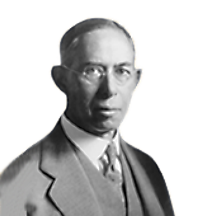 In 1927, Gerald Edelman and his British colleague, Rodney Porter, were awarded the Nobel Prize in Physiology or Medicine “for their discoveries concerning the chemical structure of antibodies”. The antibody is a protein, produced by the body in reaction to an antigen, a harmful substance that attacks the body. The function of the antibody, working with various components of the immune system, is to neutralize the effect of the attacking antigen. 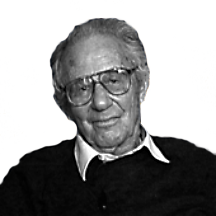 Edelman and his team initially succeeded in determining the basic structure of the antibody. In 1969, they deciphered the biochemical structure of the antibody molecule and discovered how the antibody is attached to the antigen. Edelman’s pioneering work opened up a whole range of study in the field of immunology and led to new insight into genetic and cancer research. discovered the structure of antibodies. the founder of modern chemotherapy. Elion applied her knowledge of DNA synthesis in the cell to the production of drugs for leukemia and malaria as well as a medicine that facilitates organ transplants. developed many revolutionary life saving drugs. Joseph Erlanger was born in 1874 in St. Francisco. In 1899, he was qualified at Johns Hopkins University to practice medicine and engaged in the research of blood pressure. Later on, he headed the Physiology Department at the Schools of Medicine of Wisconsin and Washington Universities. 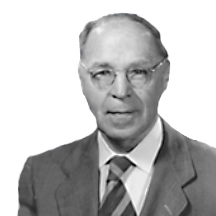 In 1944, Joseph Erlanger and his colleague, Herbert Gasser, were jointly awarded the Nobel Prize in Medicine and Physiology “for their discoveries relating to the highly differentiated functions of single nerve fibers”. Erlanger and Gasser were the first to succeed in performing a detailed measurement of the action potential of a signal nerve cell, by means of an oscilloscope device built by them from a cathode ray tube and an amplified. Their measurements exposed 3 main types of nerve fibers, and also that the velocity of the electrical current varies according to a direct relation with the width of the fiber. Inasmuch as the fiber is wider, the velocity is increased. The experiments conducted by Erlanger and Gasser as from 1921 served as a basis to the modern knowledge on action potentials in nerves and were very important in the understanding of various functions of nerve tissues. 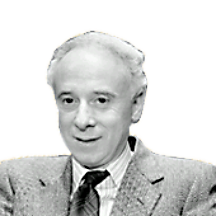 Joseph Erlanger died in 1965.
one of the pioneers of modern research of the nerve system. 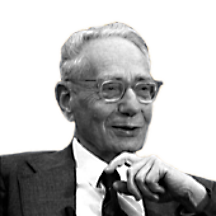 Edmond Fischer was born in 1920 at Shanghai, China, and arrived to Switzerland at the age of 7. He studied chemistry and biology at Geneva and presented his doctoral thesis in 1947. In 1953 he joined the laboratory of Gerty and Carl Cori, at the University of Washington Seattle. There, he started his long scientific collaboration with Edwin Krebs. In 1992, Edmond Fischer was awarded the Nobel prize for physiology and medicine, together with Edwin Krebs, “for their discoveries concerning reversible protein phosphorylation as a biological regulatory mechanism”. His discovery on the inter-cellular regulation mecanism, constitues a turning point in the understanding of the vital life processes and the development of new remedies. Herbert Gasser was born in 1888 in Wisconsin, USA. He received his medical degree in 1915 from Johns Hopkins University and was professor of pharmacology and physiology at Washington and Cornell Universities. From 1935, he directed the Rockefeller Institute of Medical Research. Gasser and Erlanger were the first to succeed in performing a detailed measurement of the action-potential of a single nerve cell, using an amplified oscilloscope that they built. Their measurements revealed three types of nerve fibers, as well as a direct relation between the fiber’s thickness and the speed of the electrical signal passing along it. Inasmuch as the fiber is wider, the velocity is increased. Gasser and Erlanger’s experiments formed the cornerstone of modern knowledge on neural action potentials and were vital to our understanding of the different functions of the nerve system. Herbert Gasser passed away in 1963. A pioneer of modern neurological research. Joseph Goldstein was born in South-Carolina in 1940. In 1966 he received his medical doctorate in the university of Dallas, Texas. In 1971 he began researching the cholesterol metabolism together with Michael Brown at the university’s medical school. In later years he has done research on biochemical genetics at the National Institution of Health in Maryland. Goldstein and Brown received the 1985 Nobel prize in Physiology or medicine, “For their discoveries concerning the regulation of cholesterol metabolism,” and for their research on the genetic disease that prevent it. This mechanism operates by receptors, molecules on the outer surface of the cells, which “hunt” the cholesterol in the blood and transfer it into the cell for various uses. Goldstein and Brown’s findings show that insufficient amount of these receptors, due to a genetic defect or to inappropriate, high-cholesterol diet, disturbs the mechanism and causes atherosclerosis, strokes and heart attacks. This discovery urged them to look for medications that will encourage the activity of the receptors mechanism and prevent the blocking of the arteries. If those medications are proven to be safe over a long period of time,.maybe one day we will be able to eat a nice juicy steak and still live to enjoy it. discovered the mechanism which regulates the level of cholesterol in the blood. Harold Varmus was born in 1933 in Long-Island, USA. He studied at the University of California, at San-Francisco where he became professor of biochemistry and biophysics in 1982. In 1989, the Nobel prize in physiology and medicine was awarded to Harold Varmus and Michael Bishop “for their discovery of the cellular origin of retroviral oncogenes”. Varmus conducted his research on the cancerous factor sarcoma (RSV) and found a gene that causes cancer. Surprisingly, he discovered the presence of this gene in the genome of healthy birds and mammals. Varmus concluded that the active gene, in the oncogene virus, comes from cellular genes whose normal function is to control cell growth, division and differentiation. At some point of its evolution, the RSV virus extracts a gene from the host genome and inserts it into its own genome. Thus, this cellular gene undergoes changes that allow it to convert an infect cell into a cancerous cell. Further study revealed that this cellular gene can be transformed into an oncogene even without viral contact and prevent the cell from going through normal differentiation. Since the discovery of Varmus and Bishop in 1976, more than 50 cellular genes with the potential to become oncogenes have been identified. Francois Jacob was born in Nancy, France, in 1920 in a family of merchant. His medical studies in the Paris University came to an end in 1940 with the invasion of France by the Germans; Jacob joined the “Free French” and served as a medical officer. His hands were severely wounded; so he understood he will never realized his dream to become a surgeon. In 1947, he received his medical degree at the Sorbonne and devoted his doctoral research to the genetics of bacteria. He started working at the Pasteur Institute and in 1960 he was nominated director of the Genetics Research Department. 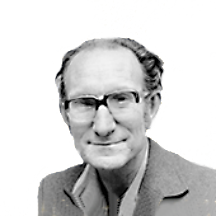 In 1965, Francois Jacob was awarded, together with Lwoff and Monod, the Nobel prize of physiology and medicine “for their discoveries concerning genetic control of enzyme and virus synthesis”. Jacob and Monod discovered the messenger-RNA molecule which transmit the information encoded in the DNA loaded in the cell nucleus – from the nucleus to the cell cytoplasm. There, with the help, among others, of two RNA, a new protein molecule is manufactured which fits exactly the code initially inscribed on the DNA. Furthermore, Jacob and Monod differentiated two types of genes: the structural genes which are bearing all characters and information of a cell; and the regulatory genes which influence the rate of expression of each one of the structural genes. The regulatory genes can be influenced by internal stimuli of various sorts and, also occasionally, by external factors such as heat, radiation, and so on. Thus can explain diverse phenomenon such as burst of certain cancerous tumors and the sudden outbreak of viral diseases such as Herpes and Aids. A pioneer of the molecular biology. 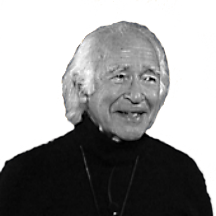 Bernard Katz was born in Leipzig, Germany in 1911. He received the 1970 Nobel prize in physiology or medicine, together with Julius Axelrod, for their discoveries concerning the neuro-transmitter’s function in transmitting nerve signals to muscle cells. has broadened our understanding of nerve function. 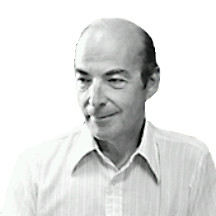 Arthur Kornberg was born in 1918 in Brooklyn. In 1941 he received his medical degree from Rochester University and later became the head of the microbiology department at Washington University Medical School. From 1959 he was director of the Biochemistry Department at Stanford Medical School. Arthur Kornberg was awarded the 1959 Nobel prize in physiology or medicine, together with Severo Ochoa, for discovery of the biochemical mechanism that is responsible for the replication and synthesis of nucleic acids. Kornberg succeeded in creating synthetic DNA molecules for research purposes with the chemical and physical characteristics of natural DNA. However, many years passed before he and his team produced synthetic DNA molecules that were biologically active as well. He claimed that by studying the action of DNA in bacteria we can understand the complex mechanism and the important activity of human DNA. These studies can contribute to the understanding of human development, cancer and genetic diseases. A pioneer researcher of the genetic mechanism. Edwin Krebs was born in 1918 in Lansing Iowa, United States. He studied chemistry at the University of Illinois, and obtained his Medical Degree from the Washington University Saint-Louis in 1943. Krebs worked for many years at the University of Washington Seattle, in the laboratory of Gerty and Carl Cori, where he started his long scientific collaboration with Edmond Fischer. 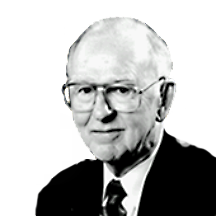 In 1992, Edwin Krebs was awarded the Nobel prize for physiology and medicine, together with Edmond Fischer, “for their discoveries concerning reversible protein phosphorylation as a biological regulatory mechanism”. Hans Krebs was born in Hildesheim, Germany in 1900. In 1925 he received his Ph.D. in medicine at Hamburg and engaged in research at the Imperial Institute of Biology in Berlin and Freiburg. When the Nazis came to power, he left for England, to Cambridge University. In 1935 he moved to Sheffield University, where he studied the breathing mechanism in the cell, and from 1954 he worked at Oxford University. In 1953 Hans Krebs won the Nobel prize in physiology or medicine together with Fritz Lippman for the discovery of the citric acid cycle in the cell, which has since been named after him – the Krebs Cycle. The deciphering of the citric acid cycle enabled biochemists to understand an important part of the mechanism by which the cell turns food into energy. The discoveries of Hans Krebs, who passed away in 1981, are the cornerstones of modern Biochemistry. Discovered the process of energy production in our bodies. 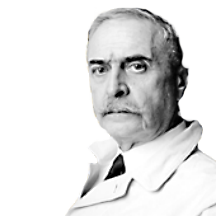 Karl Landsteiner was born in Vienna in 1868. He completed his medical studies in 1891 and studied chemistry in Berlin and Zurich. On completion of his studies, he worked at the Vienna pathological anatomy institute, and later at a hospital in The Hague, Holland. In 1922 he moved to the Rockefeller Institute in New York, where he worked until his death in 1943. Although Landsteiner was born a Jew, he later converted to Catholicism. In 1901, Landsteiner discovered the existence of three human blood groups: A, B, and C. He later changed the name of the “C” group to O” and discovered a fourth group, “AB”. His research showed that blood cells carry chemical markers, a kind of “ID card”, known as agglutinogens, and it appeared that the blood groups are characterized by various combinations of these agglutinogens. This simple principle was employed as the basis for the development of tests for the identification of blood groups. Landsteiner’s discovery enabled the safe execution of blood transfusions and surgical procedures, and in 1914, with the discovery of blood preservation, the era of the blood bank was opened. A further contribution by Landsteiner was in the field of immunology. His research on the Polio virus laid the foundations for the later development of the vaccine against infantile paralysis. discovered human blood groups and developed a simple method for their identification. 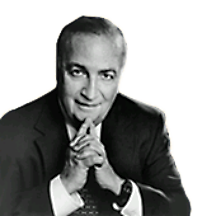 Joshua Lederberg was born in New Jersey in 1925. He received his doctorate from Yale University, served as Professor of Genetics at the University of Wisconsin, head of the Genetics Department at Stanford University and director of the Kennedy Laboratories for Molecular Biology and Medicine in California. Until 1946 scientists thought that bacteria could not engage in sexual reproduction, or in other words pass on genetic material. Lederberg and his colleagues carried out an experiment in which, as a result of mixing two e-coli bacteria strains, they obtained a new strain that had characteristics inherited from the two “parent” strains. This experiment verified the existence of genetic recombination in bacteria. Later on Lederberg discovered that the genes of the e-coli bacteria are arranged in a linear structure, analogous to chromosome structure in animal or plant cell nuclei. Joshua Lederberg’s discoveries opened up a fertile field of research for geneticists, who used bacteria to study the basic mechanisms of inheritance in more developed life systems, such as humans. proved that germs engage in sexual reproduction. Rita Levi-Monalcini was born in Italy in 1909. After completing her education and qualifying as a medical doctor, she worked at the University of Turin. In 1939, Mussolini’s fascist regime banned Jews from doing research, but Rita Levi-Montalcini continued her work in an improvised laboratory in her bedroom. In 1947, she moved to the United States and began work at Washinton University in St. Louis where she undertook cancer research together with Stanley Cohen. 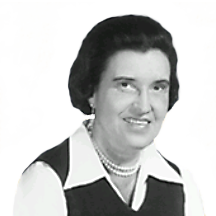 In 1977, she returned to Rome to work in the National Council of Scientific Research. 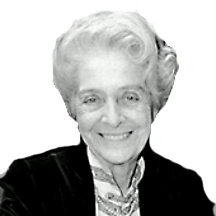 In awarding the 1986 Nobel Prize for medicine and physiology to Rita Levi-Montalcini and Stanley Cohen, the prize committee noted that their work was of fundamental importance in making it possible to understand the mechanisms which regulate cell and organ growth. Rita Levi-Montalcini discovered that cancerous tissue around a nerve cell secretes a certain chemical substance that accelerates the growth of nerve cells. She called this the nerve growth factor – NGF. Stanley Cohen was able to isolate this factor and even develop antibodies against it. The very existence of growth factors was questionable prior to the research of Stanley Cohen and Rita levi-Montalcini. Today, scientists are convinced that they exist and recognize their great importance. made a significant contribution to cancer research. Fritz Lipmann was born in 1899 in Koenigsberg, Germany, In 1922 he received his medical degree and in 1927 a doctorate in chemistry. 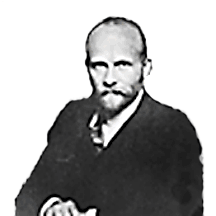 From 1927 to 1931, he conducted researches at the Kaiser Willhelm Institute in Berlin, then he went to the Rockefeller Institute in New-York. When Hitler came to power he decided not to return to Germany and joined the Carlsberg Laboratories in Copenhagen, there he began researching the human metabolism. Lipmann received the 1953 Nobel prize in physiology or medicine, together with Hans Krebs, for his studies on metabolism, especially for his discovery of co-enzyme “a”, which is essential to the production of sterol and protein in the body. Lipmann’s effort was vital, also, to the understanding of the assimilation of carbohydrates and fats. 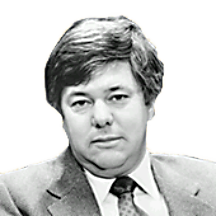 Fritz Lipmann passed away in 1986. His contributions reflect both skilled technical ability and great theoretical ingenuity. discovered the co-enzyme "a", a breakthrough in the study of metabolism. Otto Loewi was born in Frankfurt, Germany, in 1873. In 1938 he was arrested by the Nazis, and released only after forfeiting all of his property, including his Nobel prize money. Then, he moved to New York where he lived until his death in 1961. Loewi was the first to prove that the stimulus of a nerve cell was also transmitted by a chemical substance, acetylcholine. made a significant contribution to the comprehension of the functional mechanism of the nervous system. Salvador Luria was born in Turin, Italy, in 1912. After receiving his degree in medicine, he moved to Paris where he was engaged in research at the Pasteur Institute until France fell to the Germans in 1940. He then emigrated to the United States and was appointed, in 1959, professor of microbiology at the Massachusetts Institute of Technology (MIT). 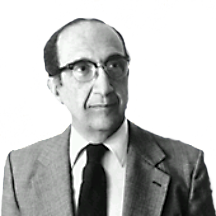 In 1969, Salvador Luria was awarded the Nobel prize for medicine and physiology “for his discoveries concerning the replication mechanism and genetic structure of viruses”. In the 1940’s, Luria and his co-recipient of the Nobel prize, Max Delbruck, conducted a series of experiments on bacteriophages, viruses that attack bacteria. The results of these experiments where an important contribution to the understanding of viral and bacterial genetics, and indicated that DNA was a decisive factor in heredity. Luria’s later work demonstrated additional genetic processes connected with the transfer of hereditary material between various organisms, thus paving the way for the meteoric rise of genetics in the following decades. 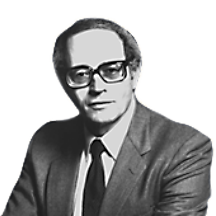 Salvador Luria died in 1991.
one of the pioneers of microbiological genetic research. A pioneer researcher of immunity. Otto Meyerhof was born in Germany in 1884. Otto Meyerhof died in 1951.
discovered the way in which the body converts biochemical energy into mechanical energy in the muscles. Cesar Milstein was born in 1927 in Argentina. He studied at Cambridge University in Great Britain, where he received his doctorate in 1960. Milstein was awarded the 1984 Nobel prize in physiology or medicine, “For the discovery of the principle for production of monoclonal antibodies. The antibodies are produced by lymphocytes, cells of the immune system, and are used in medicine for the diagnosis and treatment of diseases. However, the production of a specific antibody from serum is impossible, because the serum contains a mixture of different types of antibodies. Furthermore, lymphocytes could not be grown in tissue culture. Milstein genetically fused lymphocytes with myeloma cancerous cells, that can reproduce continuously in culture. The hybrid cell could now be isolated and multiplied, producing the specific antibody in the desired quantities. 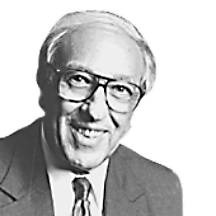 Cesar Milstein’s discoveries enabled medicine to deal more efficiently with various diseases, including cancer. Hermann Muller was born in New York in 1890. He studied medicine and later taught at Columbia University and at the University of Texas at Austin. 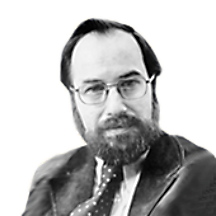 Because of his communist views, he moved to the USSR where he served as a senior geneticist at the Academy of Sciences. He returned to the United States in 1940, and continued his research. He died in 1967. The chromosomes that carry our genes transfer a detailed system of hereditary information from parent to child, and also supply the cells with the necessary `instructions’ for reproduction. However, Chemical flaws, mutations, can sometimes occur, and cause dysfunction in the cell. Mutations can also cause genetic defects. Muller’s research on Drosophila flies showed that exposure to X-rays increased the rate of mutation in cells. A similar phenomenon was found in X-rays technicians and patients treated by them. Nuclear radiation has a similar effect, and today we know that the use of chemical materials that are not radioactive can also cause the same results. one of the first to forewarn of the intrinsic danger of nuclear activity, and the dangers of radiation to genetic material and to the development of humanity in general. Daniel Nathans was born in 1928 in the State of Delaware. 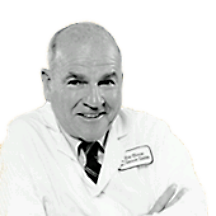 He received his medical degree in 1959 from Washington University in St. Louis. In 1962, he joined the staff of Johns Hopkins University, where he became head of the microbiology department in 1967. Daniel Nathans, Werner Arber and Hamilton Smith were awarded the 1978 Nobel Prize in Medicine or Physiology for “the discovery of restriction enzymes” and their application to the study of genome structure and for purposes of genetic engineering. Daniel Nathans was the first to apply these enzymes towards the study of gene organization and the sequence of genes in the chromosome. However, the biggest breakthrough in the application of restrictive enzymes was their use in isolating specific genes and linking them to a bacterial or viral DNA molecule, producing recombinant DNA. This revolutionary procedure has made it possible to produce the large quantities of enzymes and hormones, like human insulin, that are needed for medical treatment. The basic fundamentals of this research were rapidly translated into many vital uses that had not even been imagined several years prior to Nathans’ work. a pioneer in genetic engineering. Marshall Nirenberg was born in New-York in 1927. 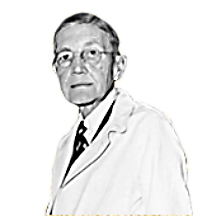 Because of his frail health, the family moved to Florida where as a young man, Nirenberg studied biology at the University of Florida. He received his doctorate in biochemistry from the University of Michigan in 1957. 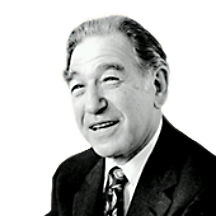 From 1960, Nirenberg has been active at the National Institutes of Health. 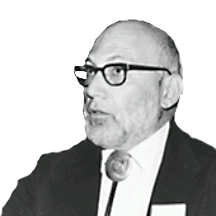 In 1968, Marshall Nirenberg was awarded the Nobel prize for medicine and physiology “for his interpretation of the genetic code and its function in protein synthesis”. Nirenberg studied the assumption that RNA was responsible for construction of protein from amino acids, and, in a 1961 experiment on synthetic RNA, he succeeded in producing a specific protein. In the wake of this pioneering discovery, he found that the genetic code was based on four “building blocks” called nucleotides. These blocks combine in triplets to create a codon, that codes for a specific amino acid in the synthesis of the protein. 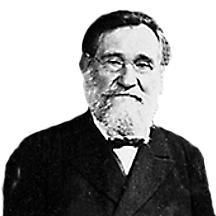 After much laborious work, Nirenberg succeeded in deciphering the codons describing all twenty amino acids, thus providing science with a new language for understanding the secrets of life. deciphered the genetic code of RNA. 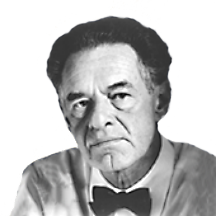 Tadeus Reichstein was born in Poland in 1897. When he was eleven years old, his family moved to Switzerland, where he studied chemistry. In 1934 he became a professor of organic chemistry. He joined the University of Basel in 1938 as head of the Institute of Pharmacology. In 1946 he was appointed head of the organic chemistry laboratories. In 1950, Reichstein, together with Philip Hench and Edward Kendall, was awarded the Nobel prize in physiology or medicine, “for their discoveries relating to the hormones of the adrenal cortex, their structure and biological effects.” These hormones affect metabolism and are vital for bodily function. 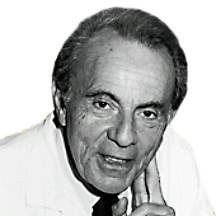 Reichstein isolated and characterized some thirty steroids, the most important of which was cortisone. In the wake of his findings, the production of cortisone and its use in relieving the suffering of arthritis patients was begun. It was later used in the fight against pneumonia, tuberculosis, asthma and other illnesses. the first scientist to isolate cortisone. Rosalyn Yalow was born in New York in 1921. In 1945, she earned her doctoral degree in physics. She initially began working as a consultant in the radiotherapy department of the Veterans Administration Hospital in the Bronx, where she set up the first radioisotope laboratory in the United States. In 1970, she was appointed head of the department of nuclear-medicine and simultaneously served as a research professor at Mt. Sinai Hospital. 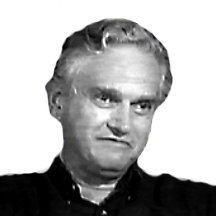 In 1950, Yalow began to do research, together with Salomon Berson. Through the use of radioisotopes, they developed methods for measuring blood volume and the dispersion of serum-proteins in body tissues, as well as for the diagnosis of thyroid gland diseases. 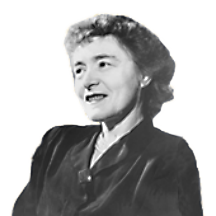 In 1977, Rosalyn Yalow received the Nobel Prize in physiology or medicine, “for the development of radioimmunoassays of peptide hormones.” Her research partner, Salomon Berson died prior to that time, and therefore did not share it with her. The radioimmunoassay method measures precisely the amount of hormones and other natural substances that are found in very low concentrations in the blood. This method is used for the early detection of various viral diseases, certain types of cancer and as a diagnostic tool for identifying blood diseases. It is also used by blood banks for testing donor blood. Rosalyn Yalow’s achievements have opened up hitherto unexplored areas of study and brought about new approaches in science and medicine. developed radioimmunoassay that increased our ability to diagnose diseases caused by hormonal imbalance in the body. Did you ever stand near the luggage conveyor at the airport, waiting for your suitcase, and waiting… and yet still waiting? This is so annoying, and trying to locate the lost luggage within that complex system can be very frustrating. Now imagine that instead of suits, dresses, and your favorite boots, your suitcase contains emotions, memories, hopes and yearnings. 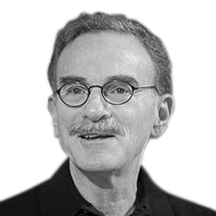 Prof. Randy Schekman studied cell biology and was awarded the Nobel prize for physiology and medicine in 2013, for deciphering the mechanism in which “suitcases” travel – inside our body. The human body consists of trillions of molecules, transferred between cells in small portions called vesicles, that carry all the emotional and cognitive and physiological data. The direction and timing of the vesicles determine what will we think and fell, where will we turn to and exactly in which manner our heart is going to break when “he/she” enters the room. Schekman was fascinated by the way in which cells organize the molecular traffic and studies the ways in which the “suitcases” move. He discovered three types of genes responsible for the transportation system of the cell. His discovery was a breakthrough in molecular biology and led to significant progress in curing diabetes and Parkinson. Howard Temin was born in Philadelphia in 1934. At the age of 25, he received a Ph.D. at the California Institute of Technology. He taught and conducted research, and in 1969, became a professor of oncology at the University of Wisconsin. The greatest discovery of the three scientists was their explanation of the mechanism that changes a normal cell into a cancerous one when infected by a tumor virus. They showed that the virus encodes its genetic information into the genome of the normal cell and exploits the cell to replicate viral molecules. This strategy is particularly effective because it does not destroy the host cell. Quite to the contrary, the cell is prompted to multiply and simultaneously produce additional viruses. Temin and Baltimore proved that viruses are capable of creating DNA from an RNA template. This discovery ran counter to the prevailing dogma among scientists at that time. 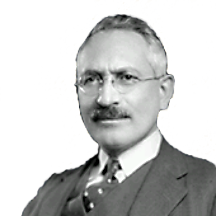 Selman Waksman was born in the Ukraine in 1888. In 1911 he emigrated to the United States, where he specialized in soil microbiology and, in 1918, received his PhD at the University of Berkeley. In 1932, Waksman was asked by the American National Association Against Tuberculosis to study the destruction of the tubercle bacillus in the soil. Waksman, suspecting certain active bacteria and fungi, systematically and painstakingly, examined some thousands micro-organism, until he was able to isolate and purify streptomicyn in 1940. Selman Waksman, whose achievements saved countless lives, died in 1973.
discovered streptomycin, the drug that eradicated tuberculosis. deciphered the chemical processes involved in respiration.